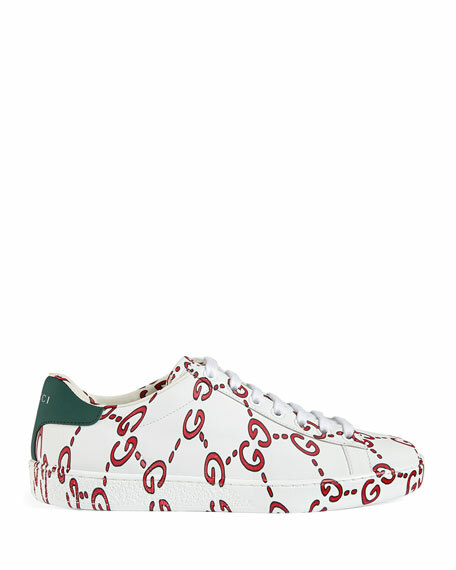 Gucci low-top sneaker in GG printed leather. Contrast heel counter with logo. 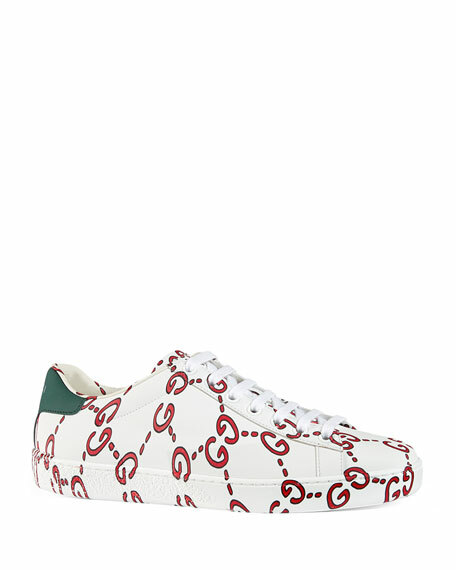 Gucci trainer sneaker in GG-embossed fabric with suede trim. 0.5" flat heel. Round capped toe. Lace-up vamp. Leather white/red/blue stripes. 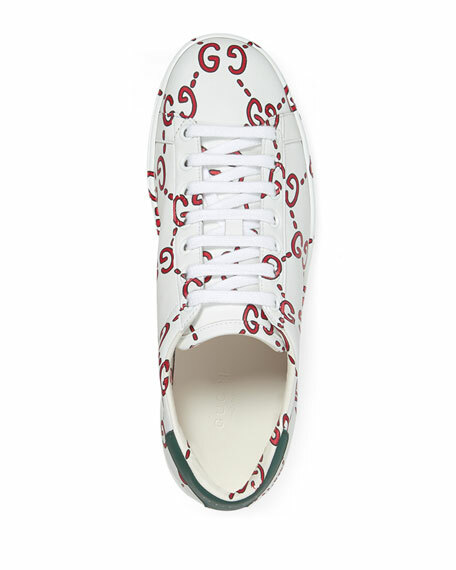 Gucci trainer sneaker in GG-embossed fabric with suede trim. 0.5" flat heel. Round capped toe. Lace-up vamp. Leather white/red/blue stripes. Contrast leather tongue and backstay. Bee embroidery at heel counter. Rose-print leather lining. Rubber outsole. Made in Italy. Fit: Runs true to size. Gucci metallic leather trainer with embroidered "Blind" text at one side and "For Love" at other side. 0.2" platform. Round toe. Lace-up vamp. Blue/red/blue webbing at sides. Contrast logo backstay. Leather lining. Rubber outsole. Made in Italy. Fit: Runs true to size. 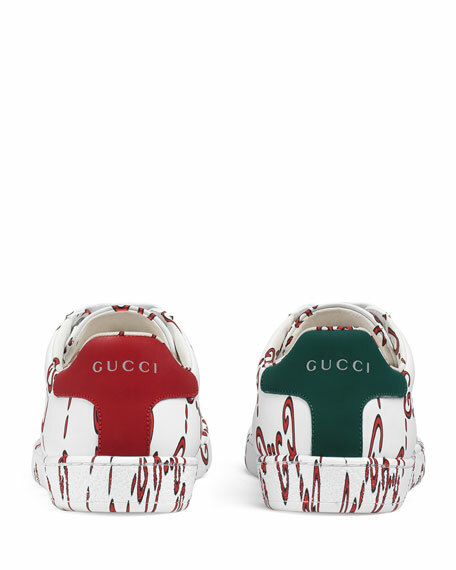 Gucci high-top sneaker in soft leather with signature green/red/green Web detail. Textured heel and platform. Round toe. Lace-up front. Logo grip strap at top vamp. Contrast snakeskin logo backstay. Padded top collar. Leather lining. Rubber outsole. Made in Italy. Fit: Runs true to size.